Are these issues that can be helped by diet and nutrition? Note: Please bear with me as I will give you some great info on what this article’s topic is about after a little history lesson. This is a topic that unfortunately is close to home. 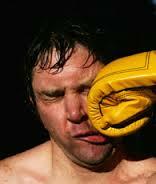 I have TBI from a situation that happened to me some thirty years ago. Being robbed at gunpoint I was forced to jump from a moving vehicle in order to save my life. The brain injury was to such a degree that it caused me to even lose my sense of smell. 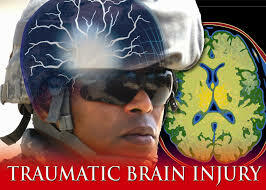 The subject of TBI did not come up as much with the Vietnam Era Vets as it has in the Gulf Wars. Probably due to more mechanized units and more Improvised Explosive Devices (IEDs). I am not sure of this but it seems to make sense. Through my research I have met many Doctors, Naturopaths, Psychologists, etc. As you can tell I am extremely anti Drug. I have always looked for non drug answers which up until recently for me involved mostly Talk Therapy, Anger Management, and a number of others. Also important was communing with other vets that were going through the same things as me. Over the past few years a shift in the medical community’s thinking has begun to develop. I believe this is due in large part to the research being done outside of Big Pharma which strictly relies on drugs. Surprising to many is that this research is being done by MLM Companies. This is directly related to the large growth of the MLM Business Model. They rely on word of mouth marketing. They are constantly looking for better products that will pass the test of time by doing a good job person to person. This is how it has been done since the beginning of time and does not rely on million dollar advertising campaigns with their long lists of horrible side affects. It is a much more honest business model. Some great all natural products that have been around for many thousands of years are basically being rediscovered. Big Pharma and their investors have no interest in this as they rely on their outdated business model. Due to the cutting edge processes in harvesting, refining, stabilizing and concentrating that is now being done these all natural holistic ingredients, are causing good things to happen. Why are the processes getting better? These processes are no longer using heat and/or chemicals which until recently destroyed many of the nutrients. Aloe has been healing and helping humanity for many thousands of years. Due to the release of an enzyme in the Aloe, when harvested (cut), the healing properties rapidly deteriorate. Sadly no shelf life. That is why the US Government gave up on using it to heal radiation burns during WWII. It had been the only thing on earth that was found that could do that but if you can’t store it then it is useless to them. Thirty years ago some processes were found to help. They involved heat and chemicals. These process while helping still destroyed part of the healing value. We now have processes that do not require heating and chemicals. It is extremely important to find Aloe vera products that use this type of harvesting process. The same thing is happening with many ingredients being used in all natural products. Many times it is well worth it to pay the higher price when we are talking about an extended health life. I have been learning some important info from several well known Doctors and Authors that have been using Omega 3’s to help our vets and others that have brain injuries and cognitive issues due to it. Note:These doctors have to be careful in how they speak and phrase things from a legal standpoint. You will see the words “May, Might, Could”. They must also be careful with terms such as Heal or Cure. Please respect their positions and don’t try to put words in their mouths. 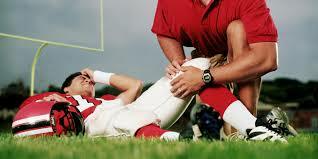 Note from Don: I have had some good input from Dr. Barry Sears regarding TBI and Omega 3 Fish Oil. He is the author of the world renowned Best Selling Zone Diet. A turning point in his research occurred in 1982. That year, the Nobel Prize in Medicine was awarded for discoveries of the role that specialized hormones, known as eicosanoids, play in the development of cardiovascular disease, diabetes, auto-immune diseases, and cancer. Since eicosanoids are only generated from dietary fat, Dr. Sears reasoned that one could apply drug delivery principles to nutrition in order to control these exceptionally powerful hormonal responses with laser-like precision. In essence, this theory treats food as if it were a drug. Posted January 23, 2012 by Dr. Barry Sears & filed under Zone Diet. Posted January 27, 2014 by Dr. Barry Sears & filed under Lifestyle, Zone Health. Since the recent story on CNN (“He’s going to be better than he was before,” Jan. 18, 2014,) about the extraordinary recovery of Grant Virgin from severe brain trauma, I have gotten a lot of requests for information. Since I have been doing this protocol for more than seven years after first working with Dr. Julian Bailes on the equally remarkable recovery of Randal McCloy Jr. (the sole survivor of the Sago mine disaster in 2006) and others (1,2), I can offer some broad guidelines. Make no mistake, each case is different, but these guidelines will considerably help your decision-making process. Dr. Chris Morris is a world renowned Naturopathic Doctor & Sports Nutritionist. Dr Chris is Co-Founder and Hea d of Product Development for Wellmed Global. With his background in professional sports he is an expert in TBI’s and the inflammation and joint pain that athletes are plagued with for many years. I am proud to call Dr Chris a friend. His formulation of superfoods has been talked about in several articles on this blog site. My wife Ginger is now colitis free thanks to Chris’s formulation “stemFit Active”. I am full of confidence that stemFit Active will add many wonderful extra years to our already long lives. 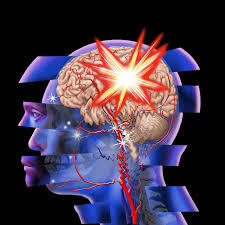 Many issues that we vets deal with are related to brain and body imbalances. This is due to a number of issues caused by PTSD, TBI, Depression, and in many cases a poor diet and drug and alcohol abuse issues! It is now, more than ever, extremely important to search out high quality superfoods. We must supplement our food chain if we wish to live a long and healthy life, free from added imbalances in our physical bodies and our brain activity. Our veterans issues with PTSD, TBI and especially suicidal thoughts, caused by war, are immensely exacerbated when we can’t think clearly and have a weakened frame of mind caused by poor diet and lifestyle. I can tell you with full confidence that my wife and I have that completely covered thanks to Dr Chris’s formulation stemFit Active. I am also beginning to take Dr Sears Omega 3 Fish Oil.